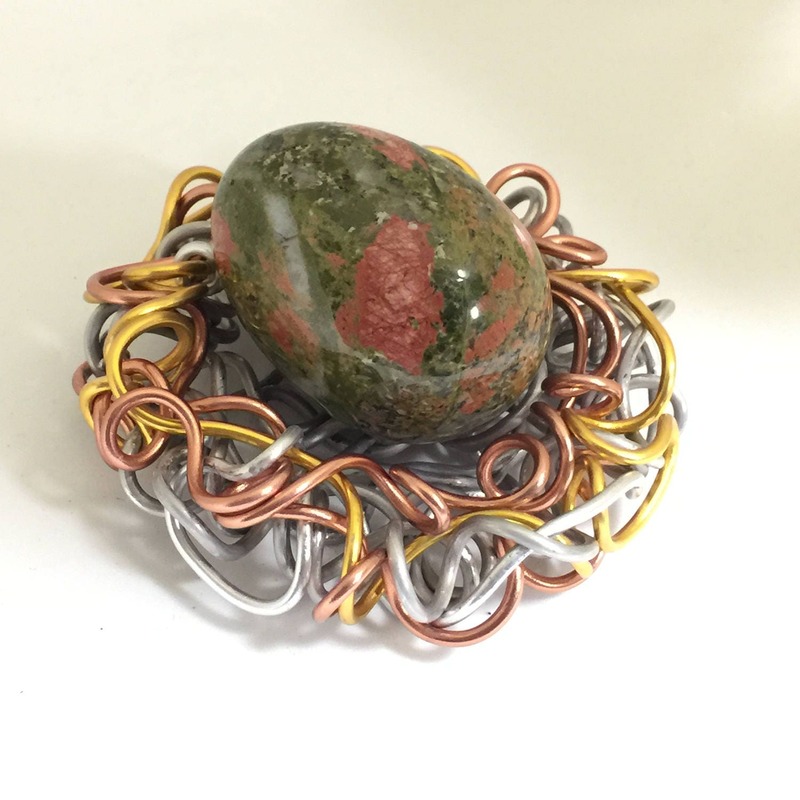 Mixed Metals Wire Bird Nest Sculpture displays a Unakite Gemstone Egg. 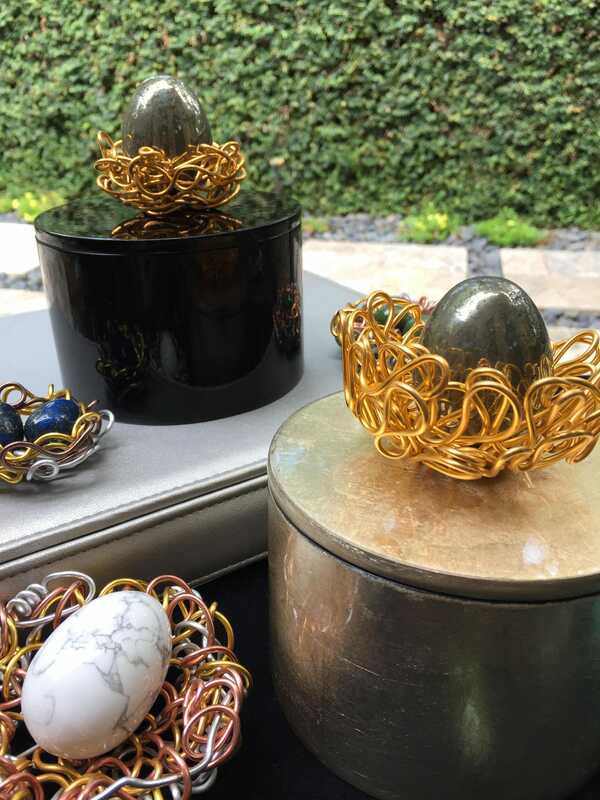 The decorative box is handcrafted the wires are artistically twisted, weaved, formed and shaped into a wire basket or nest. 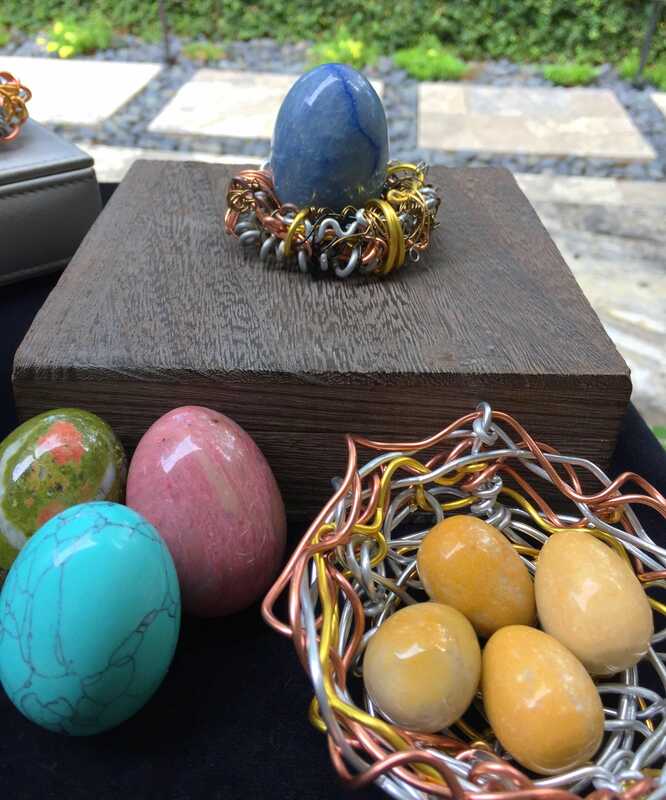 Can be customized to be any size and include any gemstone eggs I have. Please visit this shop section to see more. This can sit a top a wooden box, like the one pictured, or I have other options. Just ask. 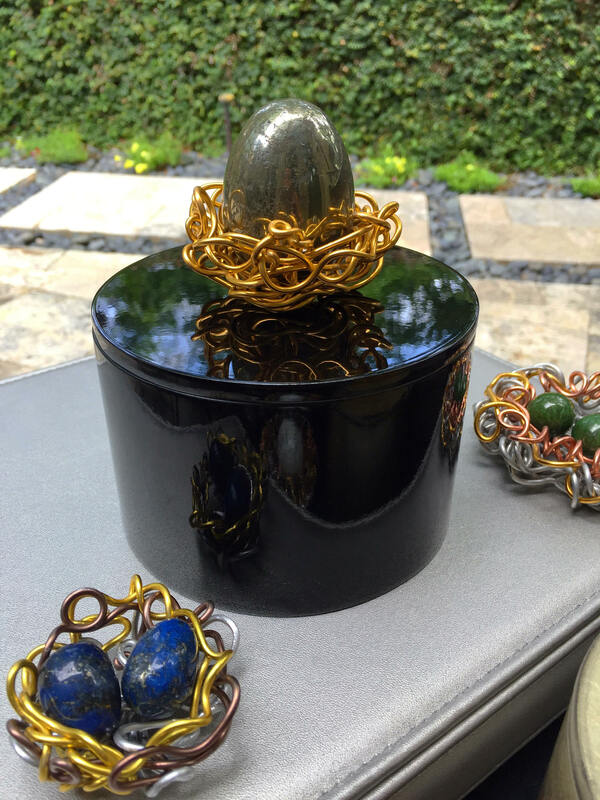 Collectible Yoni Egg and Nest. What a thoughtful and personal gift this could be. 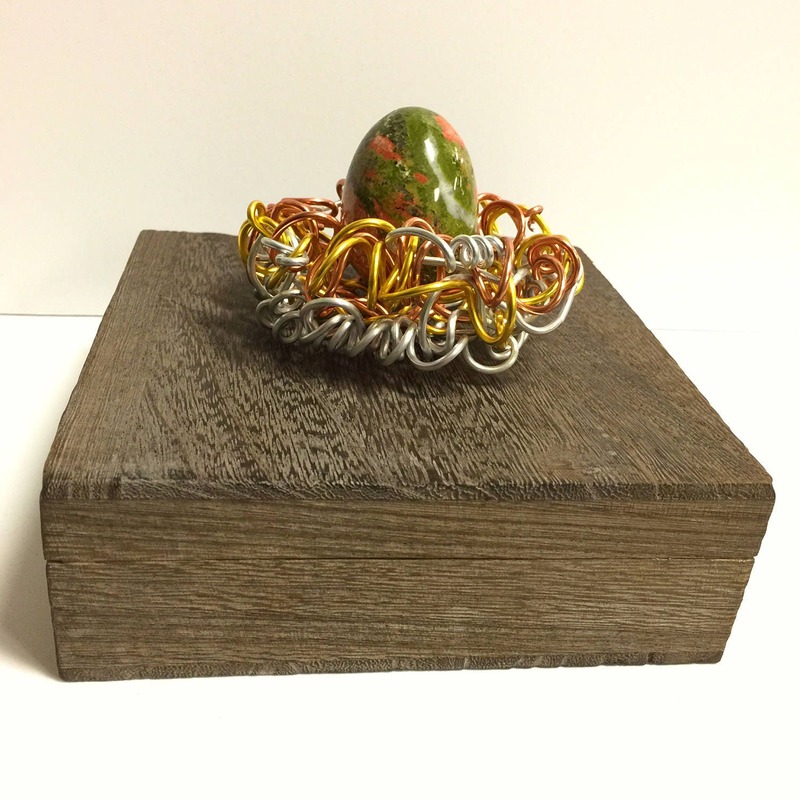 Fully customized, handcrafted wire sculpture art! 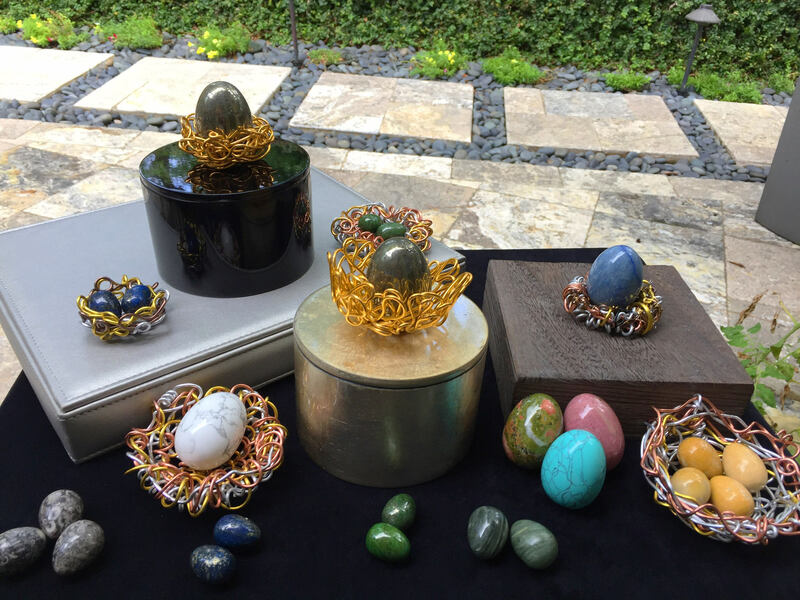 This is absolutely stunning, and each 'nest' is a one of a kind. This decorative box will add a Beautiful and Functional Element to enhance your home or office. Wooden Box is a medium brown feather grain pattern. 2" tall (not including your wire nest) x 6" wide x 6"deep. 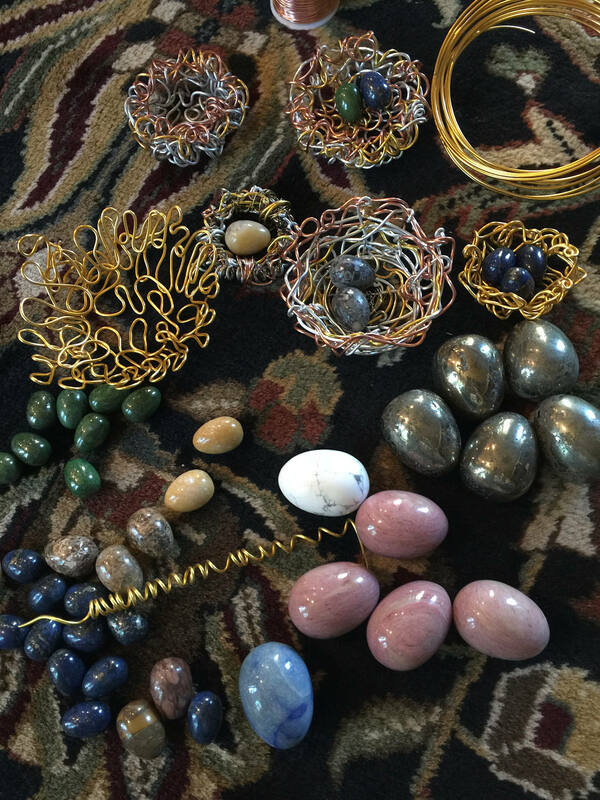 The Wire Nests shown is 3"-4" diameter (can be customized). 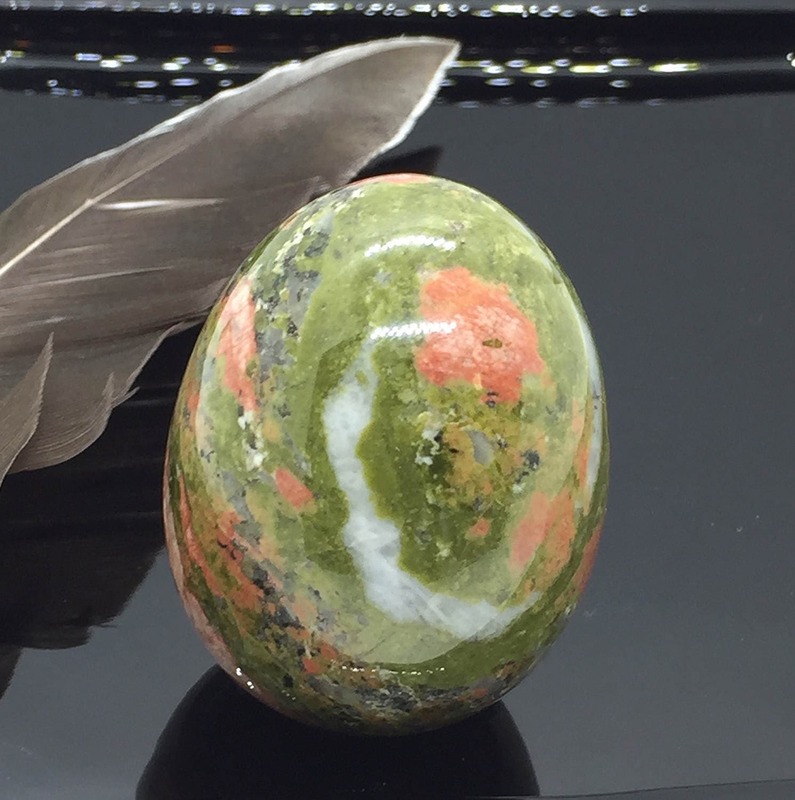 This Gemstone Egg is Unakite. Beautifully polished Pinks, Greens, Whites. 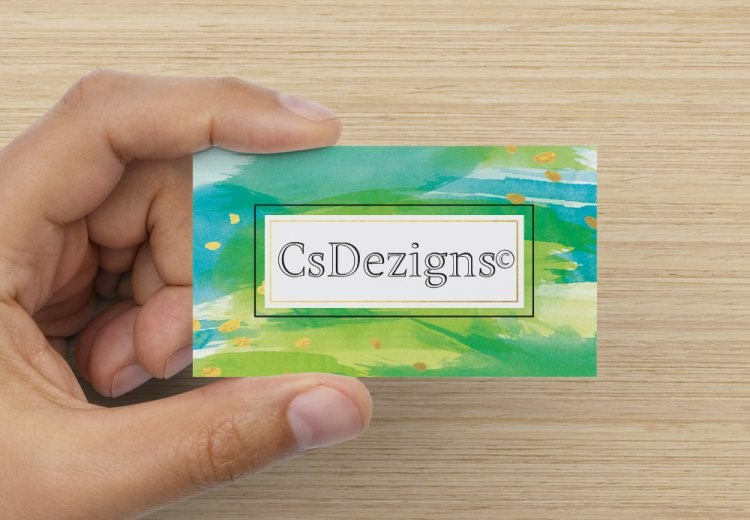 2" tall x 1.5" wide. 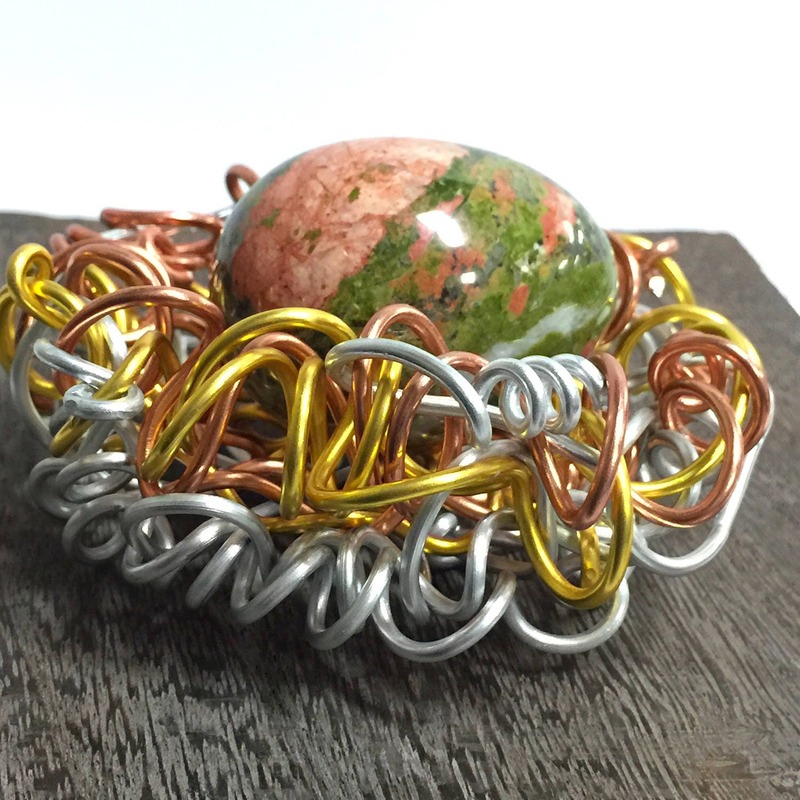 See my other listings and please contact me with any questions or further discussions..
Unakite is a type of Jasper~ brings together the abundant, nurturing energy of green with the soft, caring passion of pink in one of Nature's most healing crystals of the heart and mind. It resonates with the frequency of love, compassion and kindness, and is a stone dedicated to balancing the emotional body.